To throw the ultimate backyard party or barbecue, look no further than Kegco's Ultimate Tower Conversion Kit, which comes with everything you'll need to quickly and easily convert a refrigerator or freezer into a home brew beer dispenser. This kit includes a 3" diameter stainless steel draft tower that makes it perfect for use in outdoor applications, as well as pin lock keg couplers for use with Coke kegs. 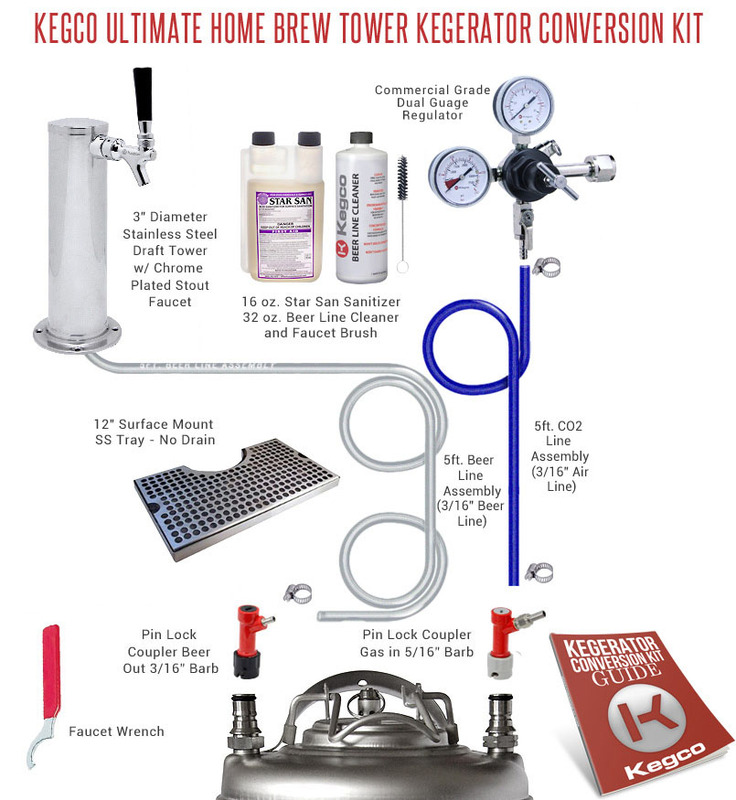 Not only does the Ultimate Tower Conversion Kit include high quality commercial-grade parts like an NSF-approved dual gauge regulator, but Kegco has also thrown in a stainless steel drip tray and a 32 oz. bottle of beer line cleaner, 16 oz. bottle of Star San, and faucet brush to keep your entire dispense system squeaky clean. All of our kits come with detailed instructions to take the guesswork out of the conversion process, and our knowledgeable product specialists can be reached at 1-800-710-9939 if you have any further questions.